Both sharing the name “Canyet”, there is a cove and a beach separated by a few metres. 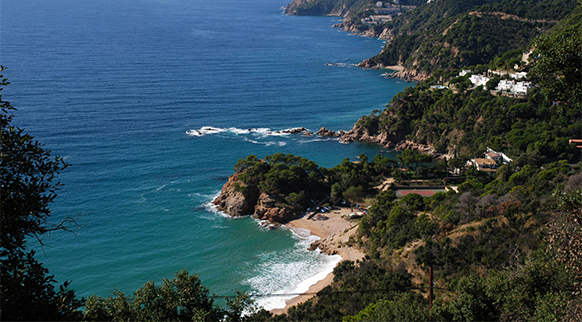 You can reach them by taking the road from Sant Feliu de Guixols to Tossa, via the Rosamar residential area. The cove offers a small sandy area which is at the end of an unusual, long corridor formed by the rocks. A path with good views separates the cove from the beach. There is a small pier at one end and an area of reef at the other which is worth visiting along the footbridge that has been built there. During the tourist season you’ll need to pay to be able to park near the water. The alternative is walking up to a kilometre. There is a restaurant serving the area.